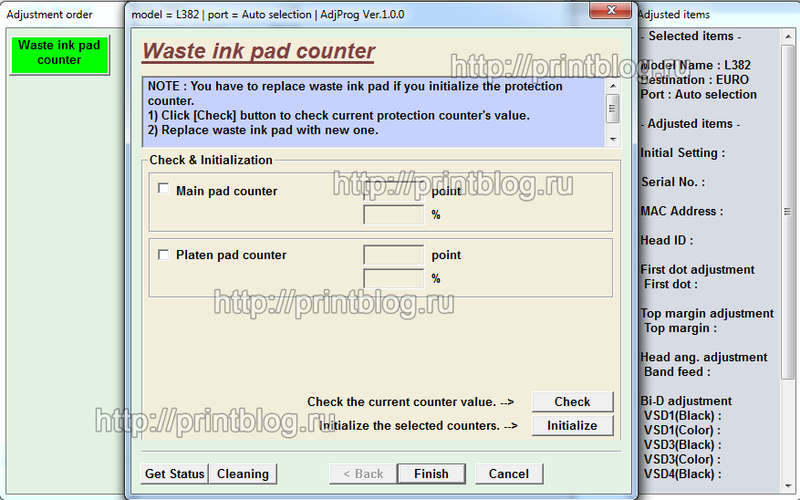 1) After paying for the program and downloading it (the link will be sent to the email address that you specify when ordering), COPY THE ARCHIVE WITH THE PROGRAM ON THE COMPUTER WHERE THE PROGRAM WILL WORK. 2) Be sure to extract the program from the archive using an archiver program, for example, Winrar. 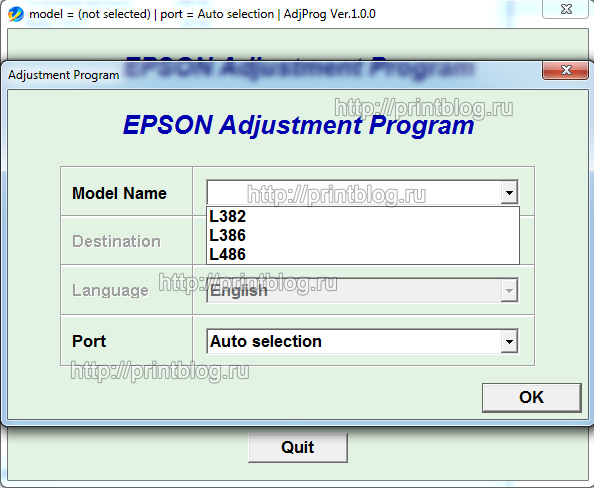 3) Run the program Adjprogr.exe double click. 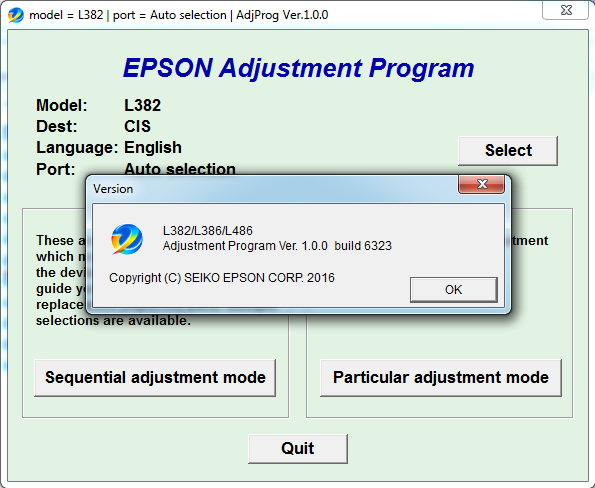 A window will appear with the ID number, copy this number by clicking the OK button in the window and send it to our email printb@bk.ru with the subject "I bought the Adjustment program from you Epson L382, L386, L486 (EURO, CIS)"
4) In response, we will send you an activation key, which you copy to the folder with the program, restart the program. The program is ready to go! Note, we will not always send the activation key instantly, because This procedure is carried out in manual mode, often it takes from 5 to 30 minutes, from 23 to 9 MSK is not sent. 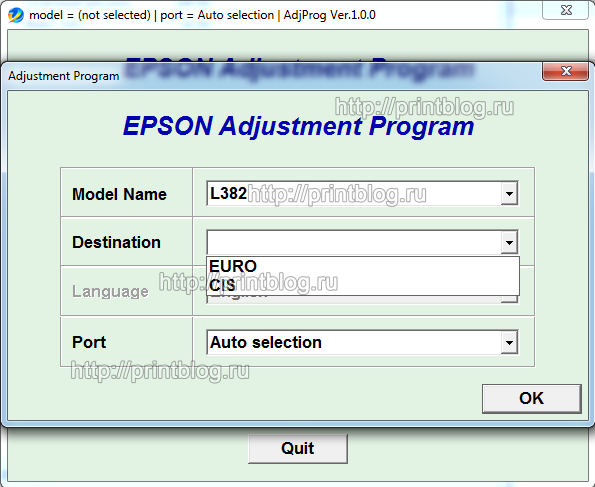 Epson L382, L386, L486 Adjustment program (EURO, CIS) is a service program for the specified printer model, the program allows you to reset the diaper counter (working, absorber), prescribe the printhead ID and other functions. 3) The program will work only on one computer for which you will receive an activation key. 4) Windows can be reinstalled and re-activated by received activation key. 5) The configuration of the computer can not be changed, if you change the hard drive or processor of the computer, the program will no longer be activated and you will have to buy the activation key again. 8) Some antiviruses can swear on the program, so while working with the program it is worthwhile to disable them or add the program to the exclusions. Спасибо продавцу огромное. У меня не получалось прошить. Он подключился удалённо и сам всё сделал. Очень рекомендую!! !